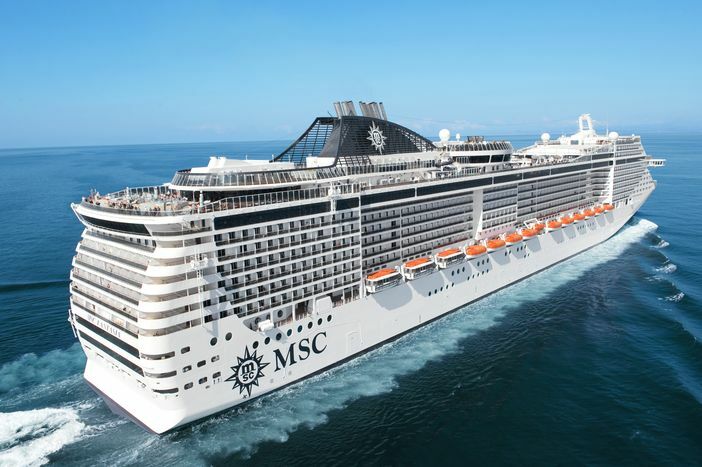 MSC Cruises, the biggest private cruise line in the world, announced recently that it will be making voyages to Sir Bani Yas Island Beach Oasis – a move that will greatly enhance its winter 2016/2017 MSC cruise destinations schedule in the Emirates. The beach enclave, which is 1.5 miles long, is adjacent to the southwest coast of Abu Dhabi. The natural stretch of land is now being used as an exciting beach oasis for the exclusive use of MSC cruise guests. The tropical island paradise will become a featured stop beginning in December 2016. At that time, the MSC Fantasia will stop off at the oasis as part of its winter cruise itinerary. The MSC Fantasia, which is one of MSC’s newest vessels, was built in 2008. The ship features 1,250 cabins and contemporary facilities. Not only do guests have access to exciting nightly entertainment, but they can also visit one of five restaurants, each of which highlights international and fine dining cuisine. Most of the cabins on the ship offer panoramic ocean views, and 71 of the accommodations are butler-serviced suites. These suites are part of the MSC Yacht Club experience. MSC’s tropical beach oasis is linked to a main island by a wooden boardwalk – which gives the private paradise an added aura of exclusivity. Amenities include shaded cabanas, 2,000+ sunbeds, sports facilities, a family- and kids-dedicated area, and a lounge space with live entertainment and a bar. Archeological excavations will also take place on the beach enclave. A tour of the ruins of an early monastery site will enable guests to interactively learn about the area’s culture and history. The main island features mountain biking or a 4×4 expedition experience for cruise ship guests with energy to spare. Water sports – such as snorkeling, paddle boarding, and sea kayaking – will be offered too. The island is home to one of the area’s biggest wildlife reserves as well. The Arabian Wildlife Park is the habitat for over 13,000 endangered and indigenous animals, as well as a large amount of trees and plants. Among MSC cruise destinations, the itinerary for the Sir Bani Yas Island Beach Oasis will be one of the most thrilling yet.